Estate Planning Through Premarital Agreements - Ward and Smith, P.A. More importantly, in the absence of a valid premarital agreement, a surviving spouse is entitled to receive a minimum share of a deceased spouse's estate. The size of minimum share differs depending upon the length of the marriage. For example, if you married without a premarital agreement and died after 15 years of marriage, your wife would be entitled to a minimum of one half of your estate. There are three issues that arise in connection with a separation or divorce that may be addressed by a premarital agreement. First is the issue of postseparation support and alimony. Postseparation support provides a dependent spouse with financial assistance during the period of litigation. 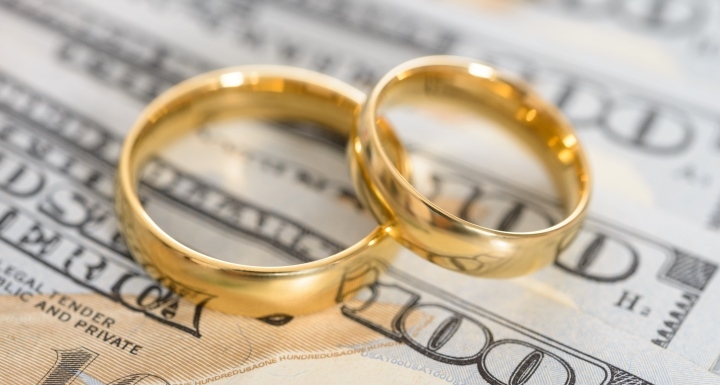 Alimony provides the dependent spouse with longer-term financial assistance and may be awarded for a fixed period of time or until the recipient remarries, engages in cohabitation, or dies. In North Carolina, the Court examines a number of factors to determine whether alimony is appropriate in a particular situation and, if appropriate, the amount and duration of the payments. Frequently, a premarital agreement includes a complete waiver of the right to claim alimony or any other type of support payment, although such rights could also be modified rather than completely waived. The third and most important issue addressed by premarital agreements in connection with separation or divorce is the division of property. In general terms, the North Carolina Equitable Distribution Act defines assets as being either "separate property" or "marital property." Separate property is not subject to division, while marital property must be equitably divided (under the statute, "equitably divided" generally means "equally divided") between the two spouses.